Located about 40 miles (65 km) off of the northern coast of Honduras, Roatan is the largest and most populous of The Bay Islands, a string of tropical Caribbean islands that runs along the edge of the Mesoamerican Barrier Reef System, the second largest reef system in the world. 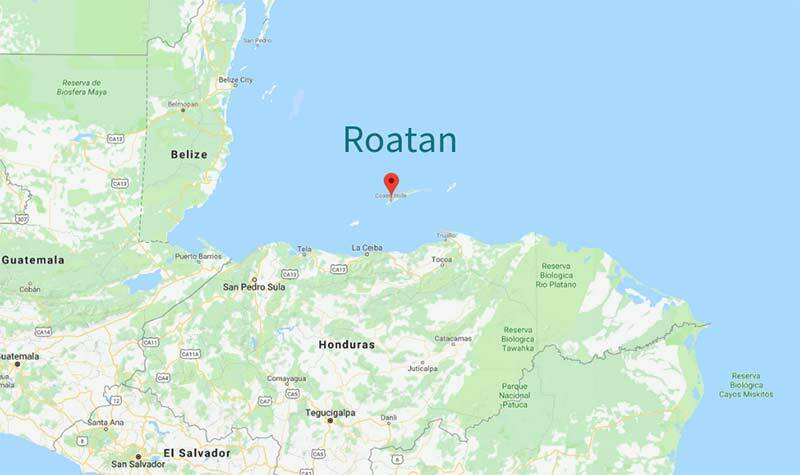 Roatan is bookended by the islands Guanaja and Utila and runs about 48 miles long (77 km) east to west, and is less than 5 miles (8 km) at its widest point. At just over 16° N (latitude), Roatan’s climate is firmly entrenched in the tropical climate zone and the island is covered in lush jungles and verdant forests. With an average year round temperature of 80° F (27° C), and the crystal-clear Caribbean waters checking in at between 78º and 84º F (26 - 29º C) year-round, the water’s always warm and inviting on Roatan. Where is Roatan West Bay? 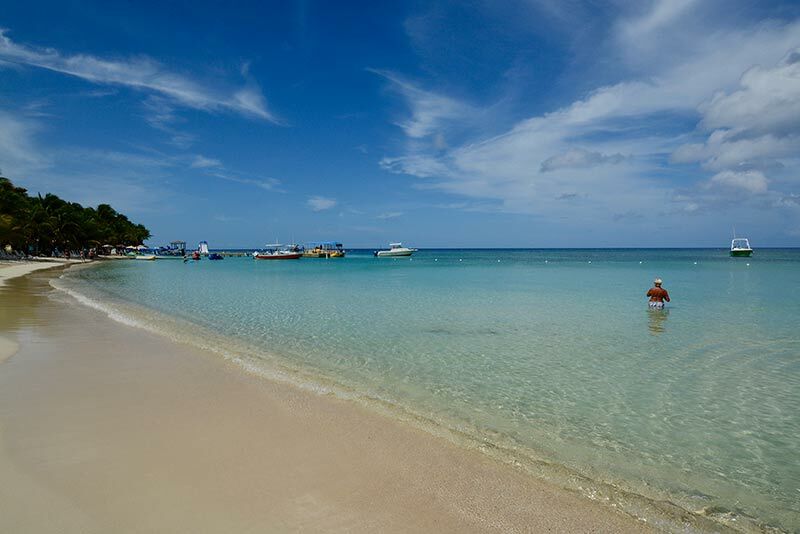 Roatan’s West Bay Beach is located on the island of Roatan’s western- (and southern-) most tip, and has been described as the ultimate Caribbean beach vacation destination: pristine, white sand beaches, perfectly clean, clear, and warm tropical waters. West Bay is also where you’ll find many of Roatan’s full-service, all-inclusive resorts, vacation rentals, as well as day-tripping cruise ship passengers, making it a charmingly bustling little island village by day, and tranquil beachside getaway by night. The earliest settlers of Roatan are believed to be the Pech, formerly known as the Paya, an indigenous group from the mainland of Honduras believed to have arrived on the island around 600 AD. By the time Christopher Columbus arrived on his fourth voyage (1502–1504) to the neighboring island Guanaja, the inhabitants were thought to have been capable sailors and merchants, trading with people from as far away as Mexico and Jamaica. Shortly after the Europeans arrived, they began raiding Roatan for slaves, an act that brought the most ruthless killer of the island’s inhabitants, smallpox and measles. Between 1500 and 1700, as the British and the Spanish wrestled for the control of the Caribbean. During the fight for control both countries claimed the Bay Islands as their own. 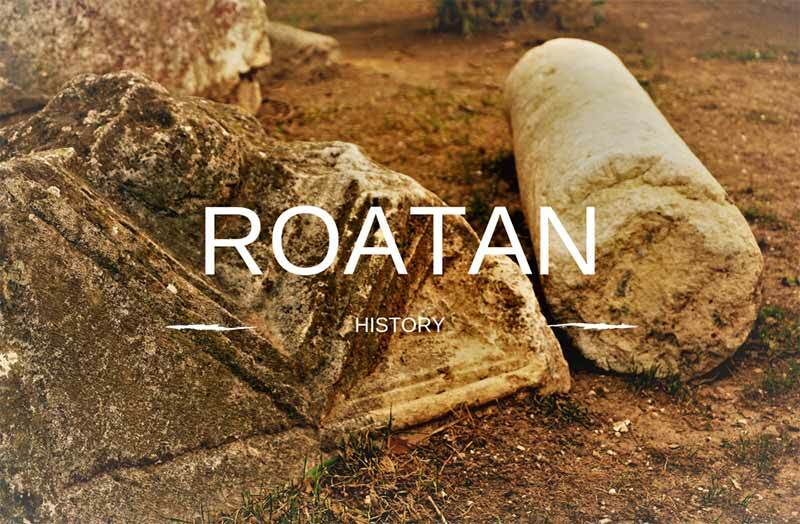 Roatan became a rest stop for ships coming and going from the mainland of Central America, and consequently became home to an ever-changing array of settlers, traders, pirates, privateers, and military forces. It’s estimated that there were nearly 5,000 pirates living on Roatan by the mid 1700s. In 1797, the English forced about 5000 Black Caribs from the island of St. Vincent, moving them from island to island, and finally leaving them on Roatan. 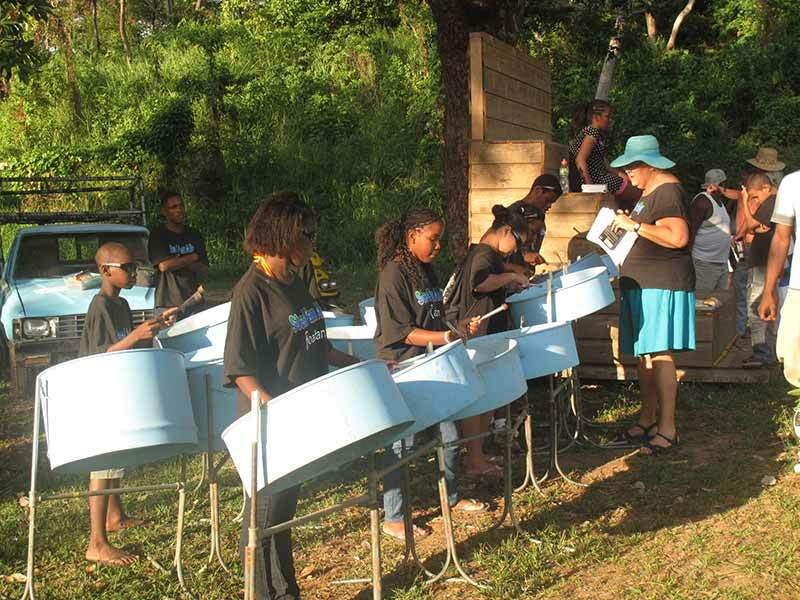 The Black Carib, descendants of the Arawak indigenous and African Maroons, remained in Punta Gorda, Roatan’s first permanent post-Columbian settlement, and formed the genesis of today’s Garifuna culture, celebrated on the island with a festival every April. The British formally claimed The Bay Islands in 1852. Las Islas De La Bahia officially became a department of Honduras in 1861 when the British conceded the islands to Honduras. Being that the island had an ever-revolving door of settlers and guests, from the original indigenous peoples to the Spanish, English, and Afro-caribbean, today, Roatan culture could be described as one of the most colorfully diverse in the Western Hemisphere. 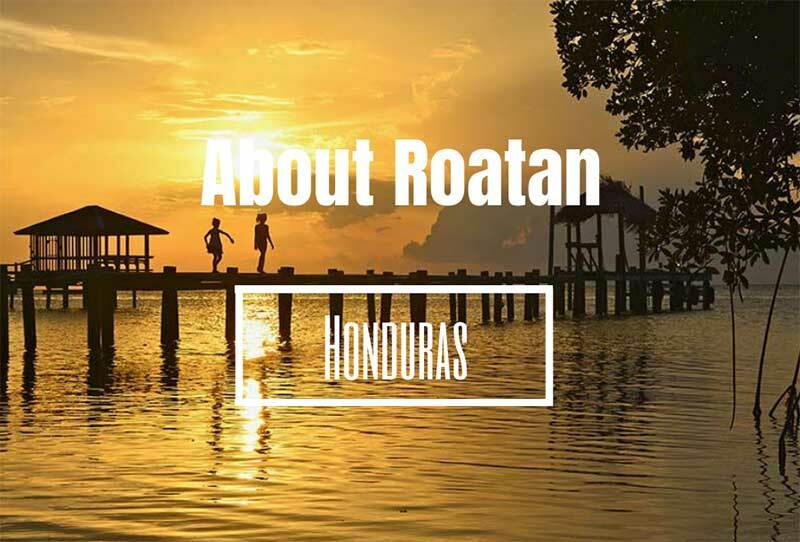 Though technically part of Honduras, whose official language is Spanish, most of Roatan’s native inhabitants’ first language is English—a holdover from the days when the British crown claimed the islands and pirates and privateers were plentiful on Roatan. Today, you’ll find any number of the island’s estimated 65,000 locals speaking English, Spanish, and a few of Honduras’ indigenous’ languages, as well as people speaking languages from all over the world: French and French Canadian, German, Italian, and beyond. English isn’t the only thing that makes Roatan culture unique. Though the official currency is the Honduran Lempira, it’s just as easy to spend American dollars on the island, making daily transactions a cinch. And you’ll want to have those dollars ready when you smell some of the local cooking on the island. The culinary portion of Roatan culture is equally as diverse as any other part. Granted, it’s easy to eat the convenience foods found at any tourist destination anywhere. However, if you are looking for ‘authentic’ Roatan cooking, a look a little deeper will show you all the island’s culinary influences. You’ll find tamales from southern Mexico and Central America, fried chicken, potato salad, and barbecue brought by seamen working between the US Gulf Coast and the island. Anglo-influenced baked chicken with a crunchy, rice-based stuffing reminiscent of Thanksgiving, mainland Honduran beans, tortillas and baleadas (a cross between a burrito and quesadilla), or island-culture staples like stewed chicken, beef, fish or seafood, green fried plantains, coconut beans, rice—it’s literally a smorgasbord of influences, each one delicious. For most people who travel to Roatan, the draw is generally obvious: sun, sand, and sea. But once people arrive in Roatan and begin to explore, they often find themselves enamored with everything else the island has to offer. For example, where else can you soar as high as a bird through the jungle canopy on a seemingly hundreds-of-feet-high zipline after breakfast, by lunchtime be getting your amateur zoologist on snuggling monkeys and sloths at an animal refuge, and be swimming with tropical fish and sea turtles among the coral right before dinner? Talk about a wing, surf, and turf special! That kind of variety in things to do—available at your fingertips—is just one of the reasons people from all over the world choose to travel to Roatan for their vacations. Keep on reading below to learn more about the many others! Honduras sits practically a stone’s throw away from the equator. That said, the climate is tropical with a wet and dry season, making the answer to the question of the best time of year to visit Roatan dependent on what kind of weather you prefer. Most people visiting the island are looking for the ultimate tropical beach vacation, and the weather of Roatan won’t disappoint. Visitors can generally count on dry weather from January through August. These are the tropics, so there is always the chance of occasional showers throughout the year, but the dry months attract the majority of the tourists. Aside from the topical rainstorms, the primary rainy season on Roatan is October through December. This is when the gulf stream pushes weather down from the north and can bring bring heavy rains throughout the region. With amazing weather, world-renown hospitality, and a ton of activities and attractions, picking just one “best time of year” to visit Roatan can be a challenge—how do you pick just one? What Airlines Fly to Roatan? And Tropic Air from Belize City. Additionally, major carriers also fly daily through the Honduran mainland cities of San Pedro Sula and Tegucigalpa, so getting to Roatan couldn't be easier. There are small, local airlines that service Roatan from the mainland airports, and there is a daily ferry that comes to Roatan from the coastal city of La Ceiba. Where is the Roatan Airport? Juan Manual Gálvez International Airport is located in Coxen Hole, on the island of Roatan, serving regional and international carriers from a wide variety of points of origin. 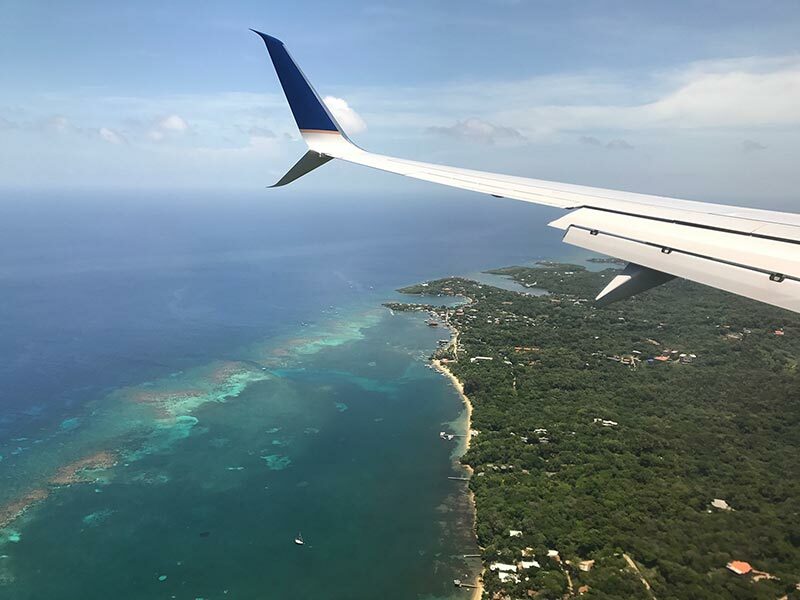 Also known as Roatan International Airport (airport code RTB), the centrally-located airport is mere minutes from anywhere on Roatan you want to be; step out of the airport and onto Roatan’s gorgeous beaches in no time flat! When traveling to the island, most visitors choose to forego car rentals in Roatan, preferring walking and the ease and relative safety of taxi cabs. And given the fact that the island has an abundance of cabs, getting a cheap fare should be a simple prospect (note: you can expect to pay extra on trips to, and from, the airport). If you’re set on renting a car during your Roatan vacation to explore, we are happy to make those reservations for you with trusted local agencies. Avis, Dollar, and Econo all rent cars to tourists, booking online through the big companies is not a guarantee that you will get the car you reserved. We recommend making the reservation directly with the smaller local companies, or better yet, having someone local make the reservation for you. When you’re vacationing in Roatan, there are so many activities, it’s often hard to fit it all in, even if you’re staying the average week to ten days. And if you’re trying to get it all in on shore leave from a cruise ship? Forget it. You’ll be missing most of the incredible things to do in Roatan. Like any fun-packed trip, when searching for things to do, time is at a premium. Fortunately, we’ve been there, and we can safely say that below, if you don’t have fun with this list of the top 5 things to do in Roatan, you should probably check for a pulse! Diving- Of course, no list of the top things to do in Roatan would be complete without mentioning diving. In the later parts of the 20th century, Roatan was one of the diving world’s best kept secrets. Boasting a number of fascinating shipwrecks, as well as the incredibly biodiverse Mesoamerican Reef (think hammerhead, nurse, and reef sharks, barracuda, sea turtles, jacks, grunts, tuna, rays, eels), the waters around are teeming with treasure, both literally and figuratively. Water Sports - With the reef so close, there is amazing snorkeling just a minute or two from the shore. There is so much to see in and around the reef that many visitors prefer the ease of snorkeling versus diving. Paddle boarding and kayaking are also very popular because the sea is so calm on the north shore and the water so clear. Beachin' it! - Roatan is known the world over for it’s beautiful waters and white sand beaches. From the bustling and convenient Half Moon Bay in West End, to Havana Beach and the east end beaches (including Camp Bay), to the island’s top beach destination, West Bay Beach, there is a warm- and clear-watered, white sand beach for every mood you’ll experience on Roatan. The beaches of West End and West Bay are particularly inviting, where it is only a minute from your water float to a local bar or cafe to cool down with a cocktail and a bite to eat. From sunrise to sunset, the beauty of tropical island setting will melt all your troubles away. Island Tours - Even though Roatan is a relatively small island, there is plenty to see. Touring the island by boat or by land, visitors get to see and experience the real Roatan. Swing into a fishing village for a mangrove tour. View the lovely jungle hills and valleys across the island. Stop at a roadside cantina for a cold drink with some locals. Visit any of the eclectic restaurants on the island for a true culinary treat. This is a must for those who want to experience the real Roatan. 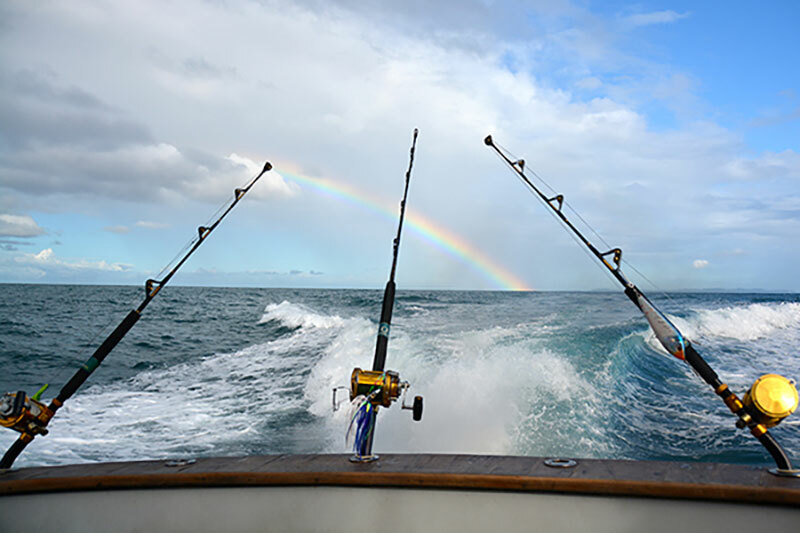 Boat Charters/Fishing - Take advantage of the beautiful Caribbean water by getting on it! This is where some of the best memories are made, boating with family and friends. Whether it be a charter to a nearby island, a catamaran party cruise, a private sailing tour or a simple sunset cruise, you can't go wrong. Visitors will also find deep sea fishing on Roatan a treat. Imagine hooking into a wahoo and finally landing the 40-pound fish after a long and tiring fight. Then imagine your captain fileting it up for you so you can take it to the grill of your vacation rental or the kitchen of the local bar so you can enjoy your own catch. It doesn't get better (or fresher!) than that. Accommodations abound on Roatan. Visitors can choose from hostels, jungle rentals away from everything, simple beach cottages with everything within walking distance, up to privately-owned luxury vacation homes on the sea with private pools. There are also micro hotels, large all-inclusive resorts and everything in between. Vacation accommodations on the island offer something for everyone and every budget. Need the perfect honeymoon cabin? No problem. How about rooms for 30 of your closest friends, family or wedding destination guests? Absolutely! 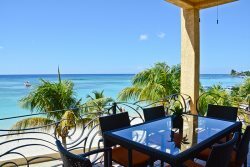 Nearest and dearest to our hearts here at Island House, the privately-owned vacation rentals available to travelers visiting Roatan provide easily the widest array of options for vacationers looking for a unique experience catered to their specific needs. 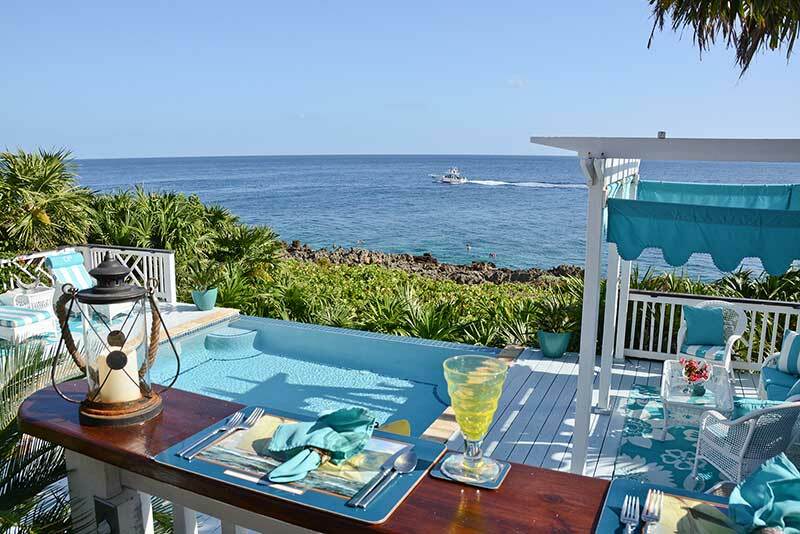 Whether you’re a young couple looking for a cozy, secluded beach side bungalow, or new retirees celebrating the good life in a luxury villa; a big friend-and-family network looking for something to house your ‘more the merrier’ reunion, or a solo writer looking for the peace and solitude of a beach side cottage, Roatan has what you are looking for. Regardless of your needs, we know Island House vacation rental houses provide the best combination of variety, convenience, and cost for any group—big or small—and once you stay with us, we’re sure you’ll think so too. Have any questions? Corrections, omissions, tips, recommendations, comments, kudos, or constructive feedback—we’d like to hear them all. Email us about it anytime. Or to find and book your Roatan vacation home right now, visit our vacation rental page to find the perfect vacation spot for your next dream vacation.